You guys already know that I’m always on the go. 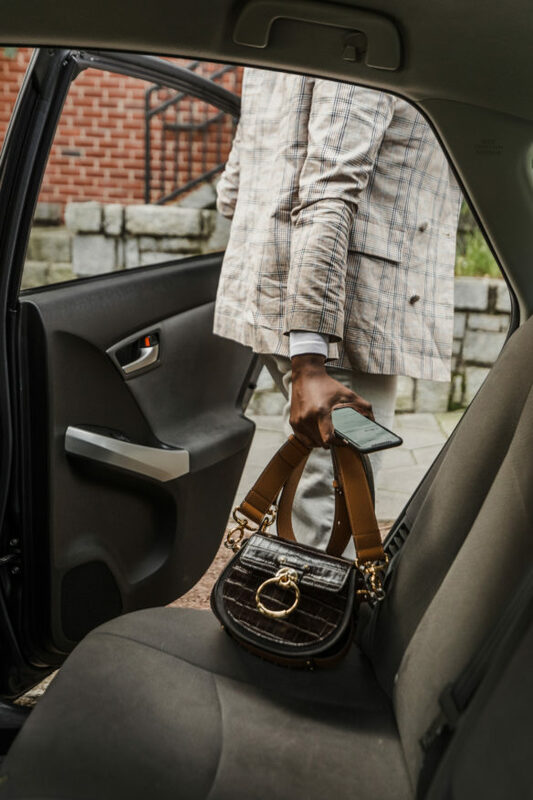 Whenever I’m navigating a new city, running to a meeting, or rushing off to the airport — the ease of requesting a ride makes my day so much more seamless, and I worry a lot less about getting wherever I need to be. I’m super excited to be partnering with Uber today, to share the new Uber Rewards program! It couldn’t have rolled out at a better time, as I have quite a few trips coming up over the next few weeks, and I’ll be using my Uber app A LOT! The newly-launched Uber Rewards program allows members to earn points on rides or Uber Eats, unlocking benefits in each Tier. Each member is in one of the four Tiers based on your use of the ride request app in the past six months. From there, members earn points on every eligible ride and Uber Eats order and can move into the next Tier, depending on how many points you have! I’m currently in the Blue Tier, which gets me $5 in Uber Cash for every 500 points earned on rides and Uber Eats… meaning that I can earn $5 in Uber Cash by doing something I would already be doing! The more I take rides and order Uber Eats, the more points I earn towards future rides and Uber Eats orders! Each Tier unlocks benefits like flexible cancellations, price protection on UberX, surprise complimentary upgrades and more! Make sure you check out your Uber app today to see what tier you’re in… and get moving! I know I’ll be riding with Uber a lot this week… where are you headed to?